JAN. 1: THE CALENDRIC HARBINger of rebirth and resolution. How many January magazine issues are headlined with “New Year, New You!” — that old cliché intended to propel us toward holistic self-improvement? We resolve to live with intention, start saving up for that dream vacation, and call mom more. But for most, New Year’s resolutions consist of a complete physical overhaul. Diet regimens are implemented, gyms are joined, and we all swear that this will be the year we finally lose those last few stubborn pounds (many of which were no doubt added during the decadent December holiday season). Luckily for those of us in Key West, there’s plenty of help for those who find themselves in need of a little extra help in switching out Snickers bars for carrot sticks, or for those who think running should be reserved for situations like chasing down the ice cream truck (I’m a Good Humor Strawberry Shortcake Bar girl — myself). 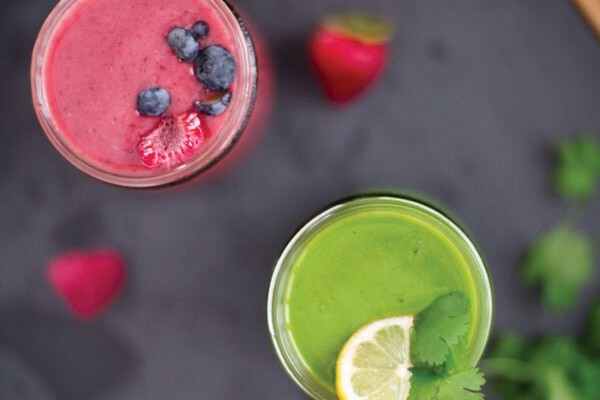 From personal trainers to hot yoga classes, vegan brownies to juice bars, Key West has your new healthy lifestyle covered –meaning that when you find yourself struggling to stick to your resolution to turn that #dadbod into a Chris Hemsworth-as-Thor-look-alike, you can rest assured that there’s an army of wellness warriors standing by to help you get back on track. Although no one likes to acknowledge it, a regular exercise regimen is the foundation of any healthy lifestyle and Key West has plenty of options to suit couch potatoes, triathlon competitors, and just about everyone in between. For the former, there can’t be an easier workout regimen to begin than Pilates, which is literally performed while lying down. Just swap out the couch cushions for one of Joanie Agosti’s mats or reformers and you’re on your way to abs of steel. 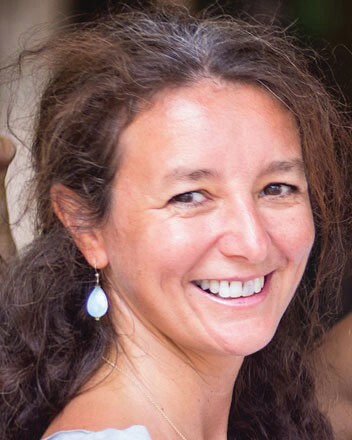 Agosti, owner of CoreFit Pilates on Southard St., keeps her boutique studio in pristine condition for the bevy of private clients who benefit from her gentle but effective tutelage. Old Town Fitness offers old-school charm. 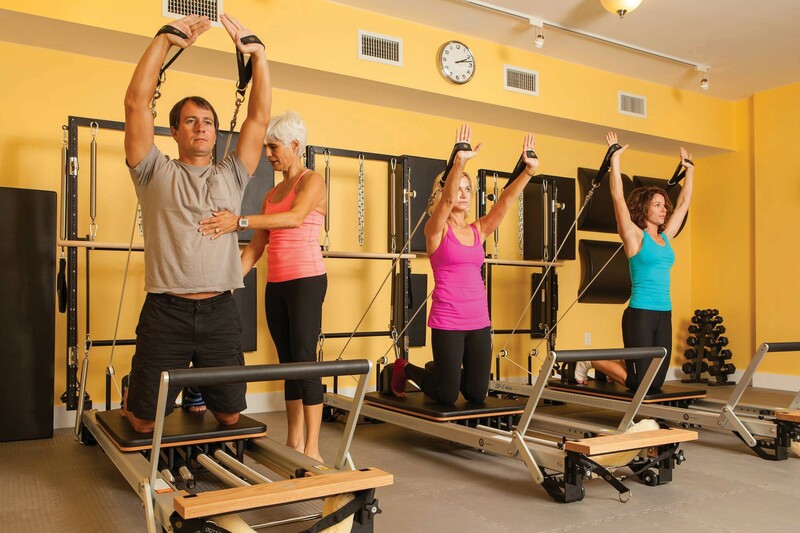 CoreFit Pilates on Southard Street offers a boutique studio and effective tutelage. Though she’s taught multiple types of exercise over the course of her 30-plus years in the fitness industry, Agosti particularly likes Pilates for its functionality, both as a singular practice and as a cross-training method for other sports. Newcomers and longtime students alike praise Agosti’s sessions for her attention to detail, with an emphasis on form that makes for an injury-free workout that’s over before you know it. Agosti knows that sticking to a workout regimen is difficult, especially to those unaccustomed to fitness. For those who feel the momentum from New Year’s Eve beginning to wane, she believes there is strength in numbers (pun intended). Date & Thyme offers all natural meals and smoothies to get you fit this year. If you prefer to combine personal training with an impressive array of group classes, Stay Fit Studios on Whitehead Street will fit your style perfectly. Owner Raquel Robbins is a boot camp badass who offers grueling personal training sessions tailored to each of her client’s individual strengths and goals. Certified personal trainers and frequent triathletes Liz Love and Amy Bradshaw are also available for oneon one sessions when they’re not leading one of the over 20 different types of classes offered at Stay Fit, including Spinning, TRX, Zumba and Pilates. Stay Fit’s mix of class instructors are uniquely motivating and the gym offers day passes as well as monthly and yearly memberships. Hurting a little after all of that physical activity? Stay Fit staffs two massage therapists on site, both of whom practice sports-related massage therapy. Amy Bradshaw, who specializes in functional fitness and injury recovery massage, and Robin Falkner, who completed advance training in CORE Myofascial Therapy and Sports Bodywork, can help you recover effectively after Stay Fit’s trainers and classes make you aware of muscles you’re pretty sure didn’t exist. 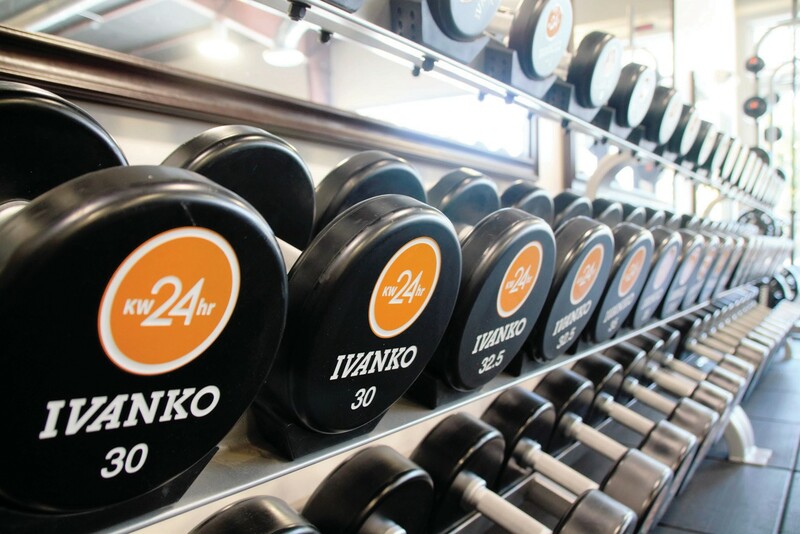 If private sessions aren’t on your agenda, the Key West 24 Hour Fitness Center on Caroline Street makes for an efficient and equally spotless choice. 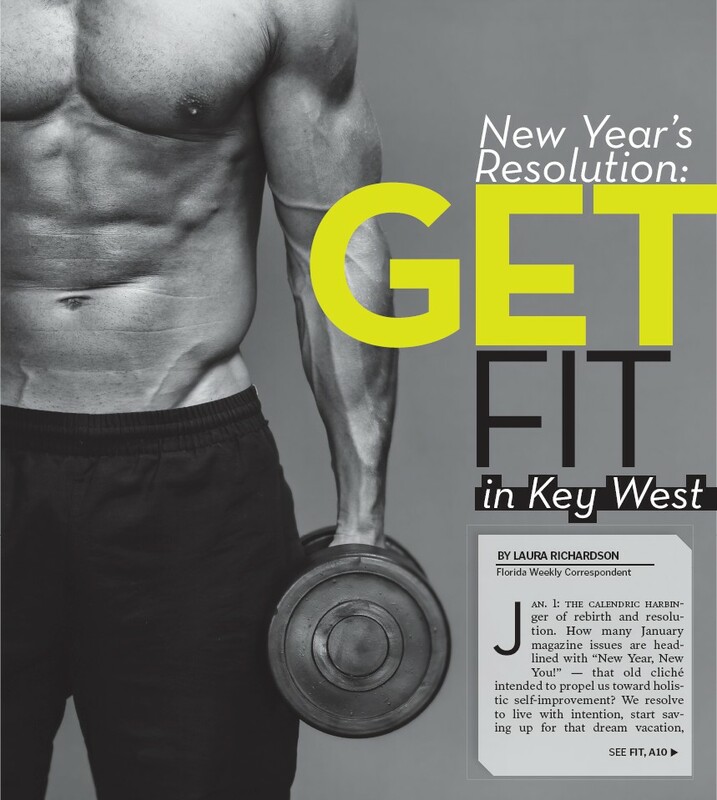 Outfitted with all the latest in high-tech fitness — there’s a dedicated studio space where one can choose from thousands of on-demand virtual fitness routines, which are then projected onto an enormous screen, movie-theater-style — and his and hers steam rooms, Key West’s newest gym has already developed a dedicated fan base. Group classes in spin, barre, aerobics, Zumba and something called Pound (the basis of which seems to be convincing rhythmically-challenged people to embarrass themselves by hammering the ground with specialized drumsticks) run throughout the day, while a pristine gym area remains stocked with all the traditional machine and weight-based options one might desire. Key West 24 Hour Fitness Center offers a variety of membership options, including day passes for $20 —it ain’t cheap, but then again, neither is a triple bypass. 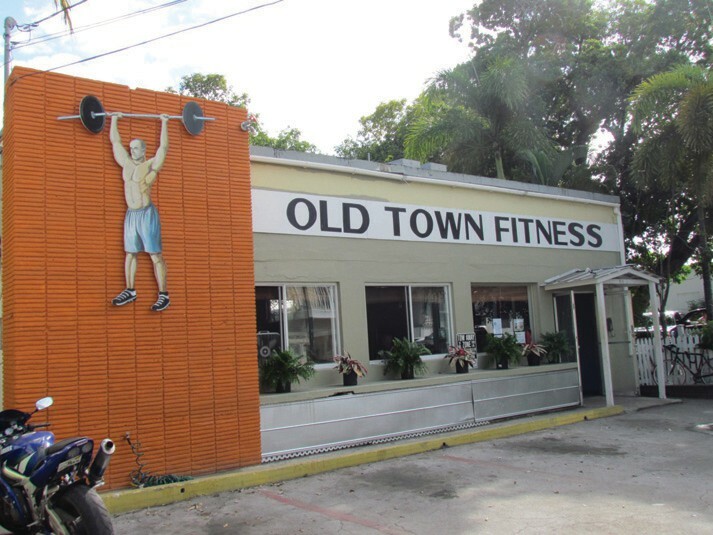 Across town and on the opposite side of the spectrum, those willing to sacrifice glamour for grit head to Old Town Fitness, whose old-school charm has made it a legend (one half expects Rocky Balboa to appear from behind the weight rack). The no frills, no air conditioning space is popular with those whose exercise routines lean more toward bench presses than ballet-based barre classes. Co-owner and personal trainer Jenessa Berger remains sought after for her punishing but transformative personal training sessions, which, mercifully capped at 30 minutes, include the kinds of exercise most often seen in Gatorade commercials —giant ropes flung up and down, kettle bells, dead lifts and aerobics performed in front of a chain link fence —to the delight of clients looking to get fit without any of the fuss. The gym is spacious and the décor unmistakably badass, complete with concrete floors, old iron weights, flags hanging from the ceiling, and the watchful eyes of Arnold staring down at you from a poster on the wall, daring you to commit to just one more set. Berger and her co-owner, Frank Dunne, have done well over the course of their four years owning the space to ensure it remains unpretentious and unmistakably down to earth at all times —so no selfies in the mirror, please. Their rates for personal training and memberships of all lengths are notorious for being the lowest in town, which tends to attract those willing to sacrifice comforts like fancy steam rooms and marble showers for a good old-fashioned sweat session; reviews on Yelp praise the “No B.S. vibe, no meatheads,” but warn potential customers that this is “probably not the kind of place a pampered walk or slowly run on fancy cardio machines and do leg lifts kind of person is going to like.” We couldn’t have said it better ourselves. Gwyneth Paltrow- approved spread requiring three different types of microgreens and a Himalayan salt block. Thankfully there is Date & Thyme, a grab-and-go micromarket dedicated to making takeout seem like a pious choice. At the corner of Fleming Street and Margaret Street, the cooler and freezer at owner/ chef Charlie Wilson’s healthy hotspot is always overflowing with a variety of single serving, all-natural meals and side dishes to please any palate, all helpfully labeled so you know which comply with various dietary specializations. Gluten-free vegan? No problem. Trying out the popular Whole 30 diet but also vegetarian? They’ve got you covered. With a menu of diverse juices, smoothies, meals, and snacks that change weekly, Wilson knows her audience requires food that passes the takeout test of fast, tasty and varied —and luckily for locals, each new dish passes with flying colors. She won’t drag you to the gym, but as far as sticking to a New Year’s resolution to get healthy goes, Wilson has got your breakfast, lunch and dinner covered.